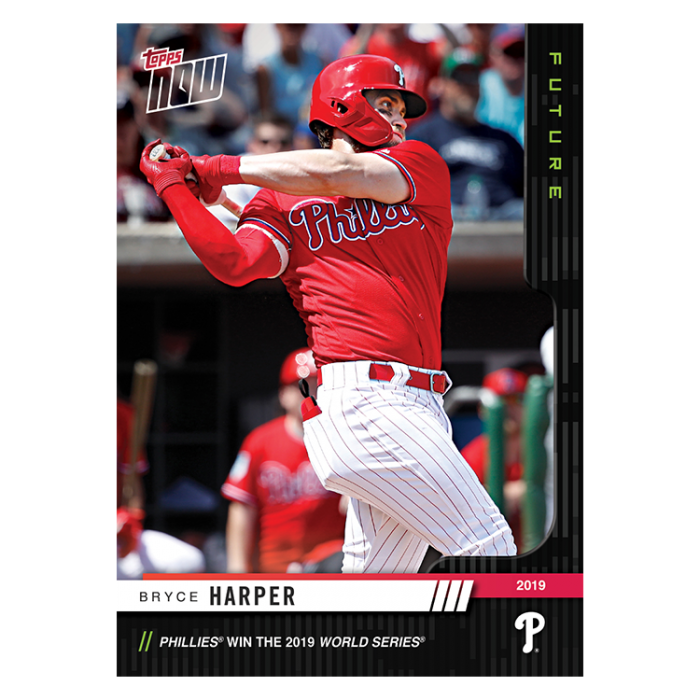 Topps announced they will be offering an innovative way to collect cards with TOPPS NOW® Future cards for the 2019 Major League Baseball season. 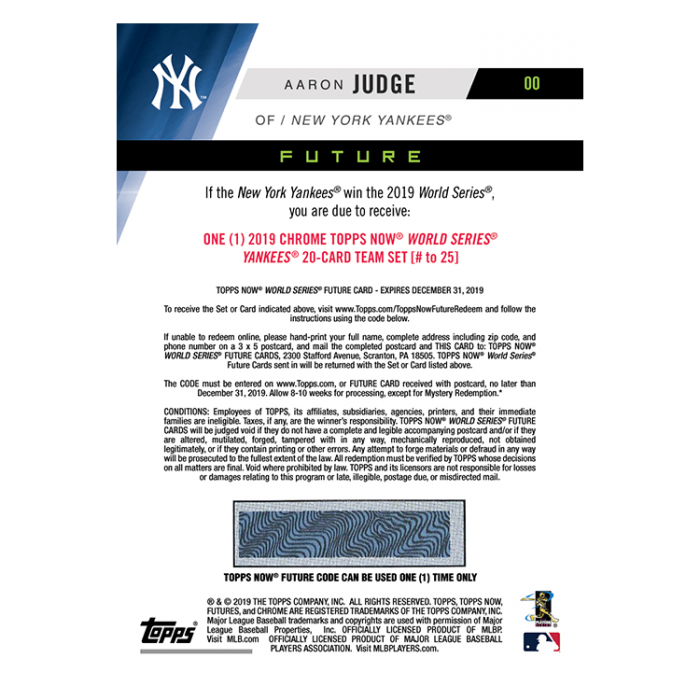 Collectors will have a chance to win rare and valuable prizes that only Topps can offer. 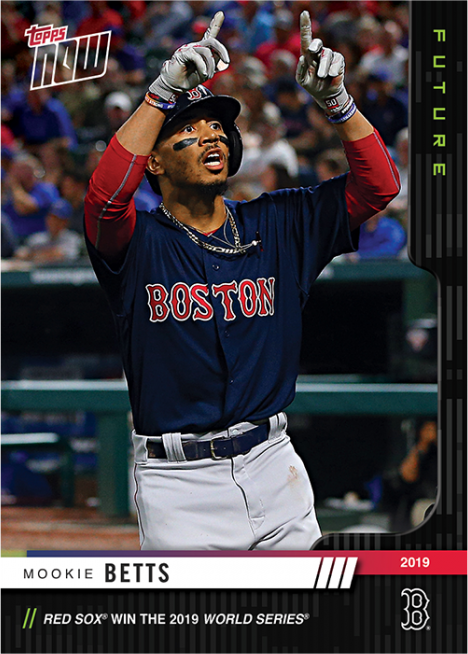 TOPPS NOW Future packs, which contain three random cards, are on sale for $12 each. The cards feature players from all 30 teams. 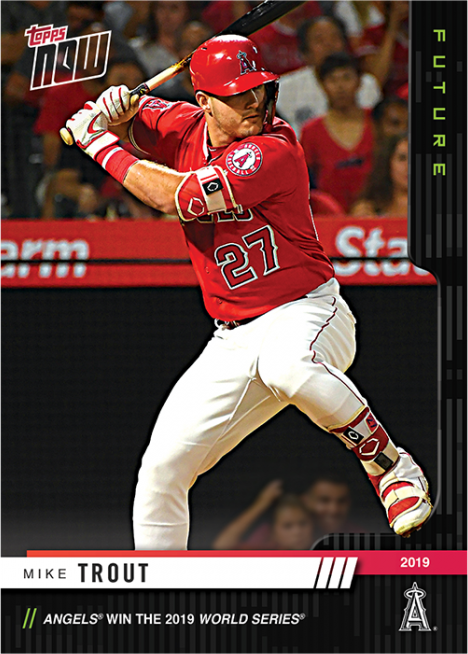 Scratch the back of the card to reveal a code and enter it on Topps.com. 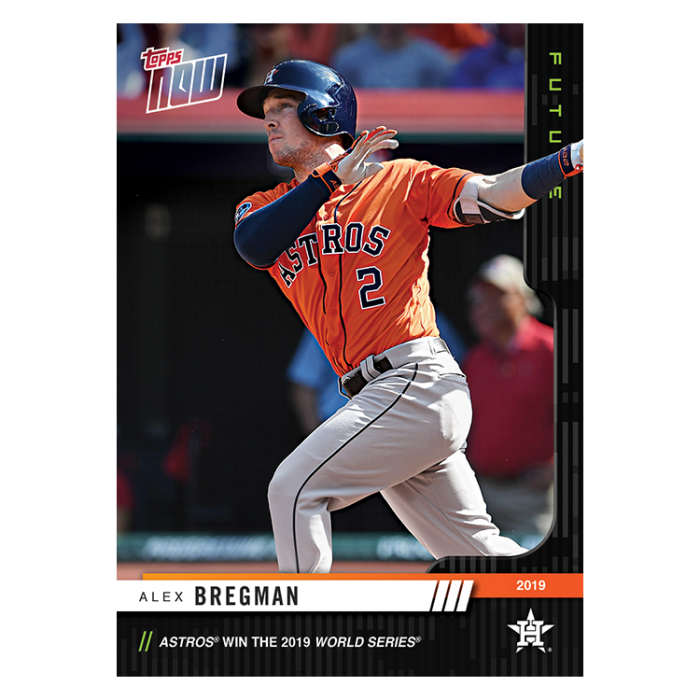 If the team represented on the card wins the 2019 World Series, you win the prize indicated on the back of the card. The limited-edition packs are only available at Topps.com while supplies last and the World Series packs won’t be offered again this season. Prizes can range from special rare card sets to autographed trading cards from a player on the World Series winning team. 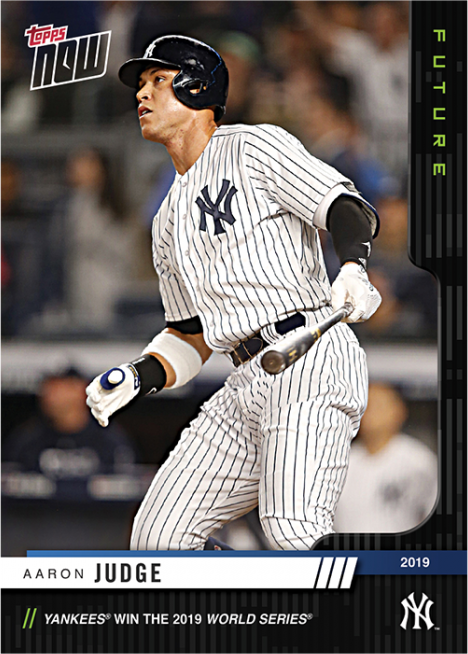 TOPPS NOW Future packs for other events are planned throughout the season. Use this link to purchase TOPPS NOW® Future cards and to see contest rules.